“How is that supposed to work?” was Joschka Fischer’s comment on a future Jamaica coalition, 12 years ago. Back then and for him, there was no compromise in sight between the political positions of the Christian Democratic / Christian Social Union, the Liberal party and the Greens. 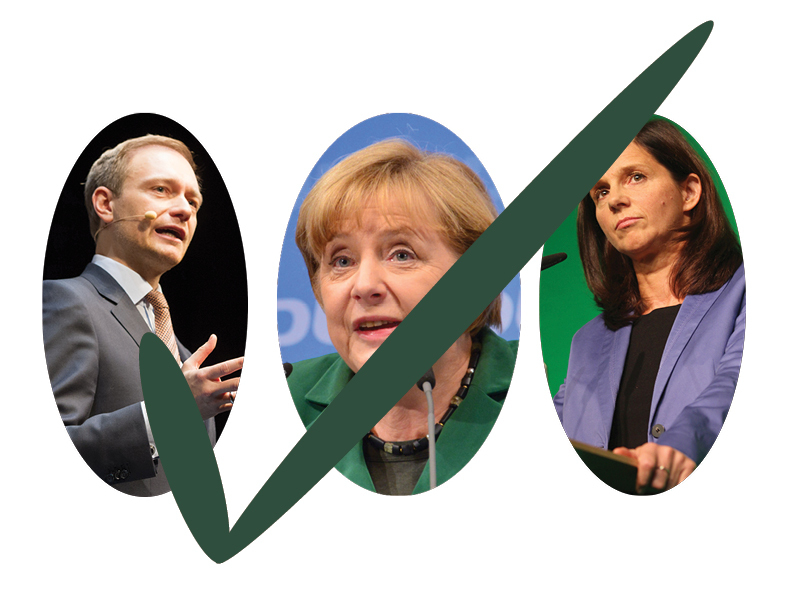 How come this coalition should be an acceptable perspective for Bündnis 90 / The Greens today after the federal elections? Would it not necessitate a sacrifice of most aims forwarded in the election program and further split the party into centre and left wing? It is no secret, the German Greens have been struggling in the past to mediate between the centre positions of the “Realos” and the more leftist group. Especially the leftist greens fear a sacrifice of green core values. Although I consider myself green left, I see an urgent need to make a compromise and to negotiate with the conservatives and the liberals if the Green party seeks to gain governmental responsibility. It is exactly this responsibility which should be the aim of every political party. But at what cost? At first sight, Green politics on sustainability, migration and integration and development of economy clash too often with the program of the CDU/CSU or FDP to allow for a fruitful cooperation. Sadly, many central green values and objectives have been abandoned in the past already. However, the loss of those values also took place outside of governmental coalitions. For me personally, taking responsibility in a government is a chance to seize, an opportunity to redirect national and international policies and effectively defend traditional green values. On top, and from a more noble point of view, it is time to stop thinking only about the party but rather consider the country and the people. I think that this aspect could become what distinguishes the Greens from other political parties. Joining a coalition should be seen as a sign of greatness, pocketing one’s pride without giving up what the Greens were elected for. Maybe this is one of the most challenging coalitions this party will ever enter into, but I am convinced, it is a challenge worth to be accepted and successfully fulfilled. Fischer could not see how Jamaica was supposed to work but for the sake of the planet, human and non-human animals, we have to make it work. Today, we hear the stories of Mona and Eva on the pro’s and cons of the Jamaica coalition. Read Eva’s article here!